Libertarian Party presidential candidate Gary Johnson gives acceptance speech during National Convention in Orlando, Florida, May 29, 2016. Libertarian presidential candidate Gary Johnson has added a second stop to his Maine itinerary on Friday — an 11:30 a.m. brunch at Portland’s Regency Hotel. The campaign is taking reservations on an EventBrite page for tickets. The audience will be limited to 100 people. Johnson and running mate Bill Weld, former Massachusetts governor, will bring his third-party bid to Lewiston’s Gendron Franco-American Heritage Center later on for an early evening rally. The rally is scheduled to begin at 6 p.m., but the doors open at 4:30 p.m. It’s free and open to the public, but ticket reservations have been claimed. Campaign staff said the seats were claimed within 48 hours. 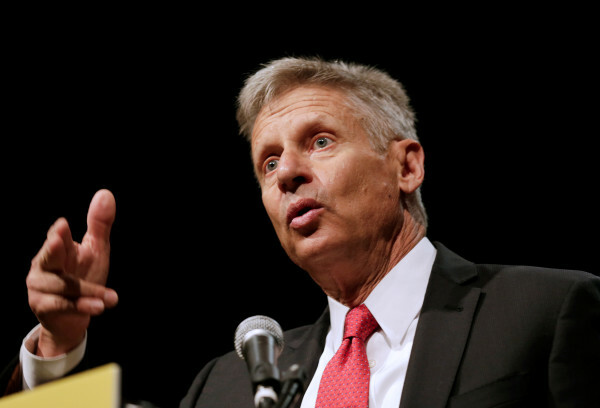 The campaign is hoping to sell Johnson as a good alternative to the Democrat and Republican offerings this year. Right now, the campaign’s goal is to boost Johnson’s polling profile to at least 15 percent in national polls to qualify for a spot on the presidential debate stages alongside Democratic candidate Hillary Rodham Clinton and Republican candidate Donald Trump.